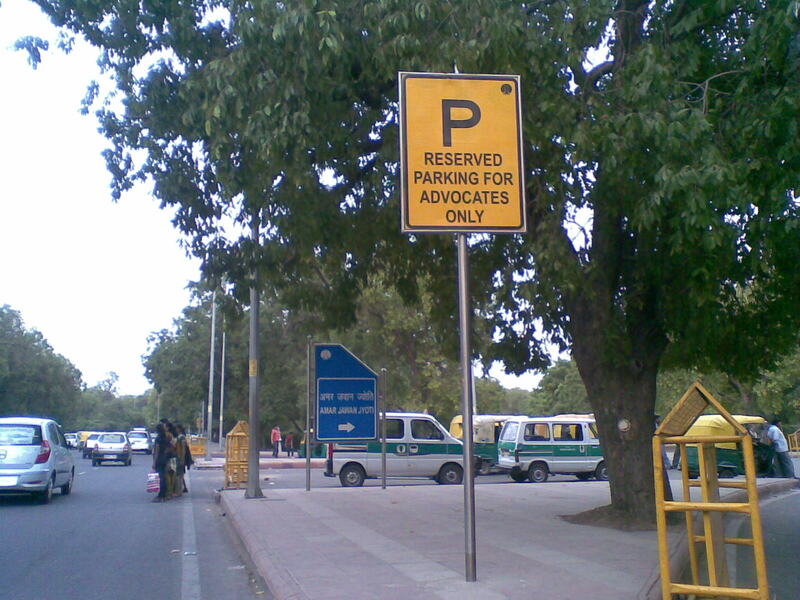 New Delhi (UNI) – Hoping to serve ”global legal community’s interest in India more effectively,” a New Delhi-based law publisher has been reminded of tasks at home– spreading word about legal aid, for one. The suggestion from Supreme Court Judge Altamas Kabir came at a function this week celebrating the 4-month-old merger of Britain’s LexisNexis Butterworths with Indian law book publisher Wadhwa Nagpur. A lot of people in India are not aware of the existence of legal aid cells in the country, said Justice Kabir, citing an instance of information people ought to have. He said with the development of information technology industry and globalisation of laws, the legal and judicial fraternity in India frequently refer to legal developments and literature from abroad. Justice Kabir touched on changes with which the Indian legal system must cope– and the consequent demands they pose, voicing hope that the company’s content suite will aid in the process. The event was attended among others by Law Commission of India Chairman A R Lakshmanan, Delhi High Court Chief Justice A P Shah and Senior Advocate K K Venugopal. India has some 14,000 judicial officers presiding in courts and almost a million lawyers enrolled with the nation’s statutory Bar Councils. Dr Justice Lakshmanan hailed the merger, saying the new entity would provide the best local and global content to Indian legal industry. Justice Shah emphasised the need for easy access to information from various sources for providing litigants speedy justice given the rapidly growing volume of cases as well as arrears. Noting the importance Indian courts give precedents, Justice Shah said systematic and comprehensive online databases and efficient law reporting would help lawyers and the judiciary serve people better. Venugopal said a comprehensive database as a ‘readyreckoner’ was imperative for Indian lawyers and law students– given the value of knowledge and the high costs of journals or classics. He suggested that the publishers focus on producing quality legal journals that can generate discussions on Indian laws, judiciary and the legal system. The event marked the launch of DD Basu’s Shorter Constitution of India by Justice Kabir, first anniversary issue of Halsbury’s Law Monthly by Justice Shah and an Online LexisNexis Bookstore by Dr Justice Lakshmanan. These, he said, would include integrated content from key markets such as the United States, Britain and Australia and could play a crucial role in such reforms as digitisation of courts and bringing efficiency into the Indian legal profession. A statement by the Wadhwa Brothers of Wadhwa Nagpur said ”The merger will add significant value to the Indian legal market and enable us to serve the global legal community’s interest in India more effectively. ”With increased global demand for Indian legal content, and emergence of the Legal Process Outsourcing industry, it is an exciting opportunity to make Wadhwa Nagpur content available to the worldwide marketplace,” it said. New Delhi (UNI) – India’s External Affairs Ministry has acknowledged having corresponded with the Soviet and the Russian governments on the disappearance six decades ago of Netaji Subash Chandra Bose, but declined to disclose the contents. This was reported last evening by a research group– Mission Netaji– which invoked the year old Right to Information Act to get the Ministry to share the facts in the matter. ”The requisite copies of correspondence cannot be disclosed as it involves the relations with foreign State,” was what the Mission said it was told by the Ministry’s Central Public Information Officer, E Barwa. A legendary figure of India’s independence movement, Bose disappeared after an alleged plane crash over Taipei on August 18, 1945, which the Taiwanese authorities later said had never occurred. The Mission sought certified copies of the entire correspondence the Ministry had with the Soviet and the Russian governments in the matter. The clauses cover ”information received in confidence from foreign Government” and ”information, disclosure of which would prejudicially affect” India’s ”security, strategic” interests. ”The request to Government of USSR and the Russian Federation were made through diplomatic channels at appropriate levels,” the Ministry replied, without elaborating. ”There was no plane crash that day– August 18, 1945– or the day before that or the day after,” former Human Resource Development Minister Murli Manohar Joshi told a conclave in New Delhi last month. Those conclusions by retired Supreme Court Judge Manoj Kumar Mukherjee countered the findings by two predecessors– Shah Nawaz Khan in 1956 and G D Khosla in 1970– that Bose was killed in a plane crash over Taipei, Taiwan. Taiwanese authorities say there were no plane crashes in Taipei between 14 August and 20 September 1945. 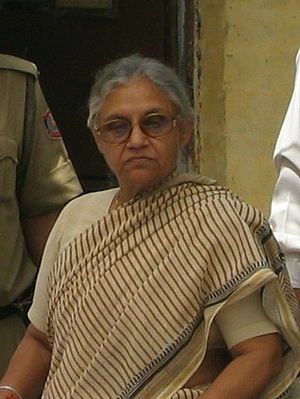 Justice Mukherjee headed an Inquiry Commission set up by the National Democratic Alliance government in May 1999 following a Calcutta High Court order. He gave his 672-page report in May 2006 to the United Progressive Alliance government which tabled it in Parliament declaring it has ”not agreed’ with either key finding. The Mukherjee Commission was the first inquiry set up by a non-Congress government– the past inquiries having been ordered by Prime Ministers Jawaharlal Nehru and Indira Gandhi. Critics have over the years charged both Khan and Khosla with having made half-hearted inquiries, intended essentially to endorse the view taken by the establishment in those years. Speakers pointed to indications that the news of Bose’s death in August 1945 was a smokescreen for his escape to the Soviet Union to pursue the freedom struggle. They suggested that Russia be requested formally at the highest level to open its archives to Indian scholars. 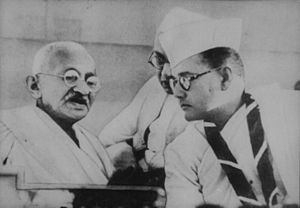 Controversy has dogged the issue over the past 61 years– with many Indians refusing to believe that Netaji was killed at the time of the alleged aircrash. Speculation has been fuelled by the Indian authorities’ refusal to let investigators– even a retired Supreme Court Judge in this case– examine the supposedly secret files. New Delhi (UNI) – Fifty nine years after resolving to promote fraternity among citizens, India is ”much more divided today” than during the British rule, a leading Indian advocate observed this evening. The British policy of ‘divide and rule’– playing Hindus against Muslims and vice versa– ”was limited,” Senior Advocate P P Rao noted while delivering the tenth G V Mavalankar Memorial Lecture. The Lecture, Reinforcing Institutions Of Governance, was sponsored by the Institute of Constitutional and Parliamentary Studies, and presided over by retired Supreme Court Judge B P Singh who traced the decline in Indian public life through lapses in efficiency and integrity. ”In 1950,” Rao said, ”we the people of India had resolved to promote fraternity among all citizens and promote unity and integrity of the nation. Now we find we are divided by the political class on caste and community lines for electoral gains. Rao stressed a need for unity and reminded that former Vice-President Krishan Kant had suggested two simple amendments to the election law to eliminate the influence of caste and community in elections. — Add one more slot in the ballot paper for negative vote– for rejecting all the candidates contesting. ”If a majority of the votes polled reject all the candidates there shall be a fresh election with new faces. If these are implemented, reliance on caste and community will vanish silently,” Rao said. Remembering Lok Sabha’s first Speaker, Rao said, ”Mavalankar was a statesman… What is the position of the Speaker’s office today? It is perhaps one of the most challenging of all political offices, notwithstanding the additional power to adjudicate claims of disqualification of members under the Tenth Schedule. ”We saw on the TV the predicament of my friend Mr Somnath Chatterjee during the debate on the no-confidence motion last year. It was much more difficult than that of a Ring Master in a circus. ”The objectionable conduct of some Speakers of State Legislative Assemblies has been disapproved by the Supreme Court. Many Speakers in State Assemblies do not inspire confidence. The fall in standards is too glaring to ignore. — Article 19 of the Constitution guarantees to all citizens the right to move freely throughout the territory of India, to reside and settle in any part thereof, and to practice any profession or to carry on any occupation, trade or business anywhere in India subject to reasonable restrictions. ”In India we have common citizenship and all Indians are entitled to equal rights, but in the land of the Thackeray’s– Bal Thackeray and Raj Thackeray– Maharashtra is for Maharashtrians; Indian Railways shall recruit only Maharashtrians; all employment opportunities – from the lowest to the highest in public as well as private establishments should be reserved exclusively for Maharashtrians; and every Legislator must take the oath only in Marathi language, otherwise they will let loose their sena’s to paralyse civic life, attack targeted people and destroy their property. ”I cannot understand how this attitude can be tolerated by any Government and how the political parties led by them can be allowed to enjoy the benefit of registration and recognition. ”Justice Sreekrishna Commission report named the leader of Shiv Sena as an accused in the Bombay riots, following the demolition of Babri Masjid. The State Government was reluctant to arrest and prosecute him fearing outbreak of uncontrollable violence.